Is Soft Water Beneficial To Your Skin & Hair? I’m not going to lie; I was a little skeptical when I first started hearing about the health and beauty benefits of having a water softener installed in your home. I’ve always known that hard water is comprised of minerals, such as calcium and magnesium, but never really paid that much attention to it. 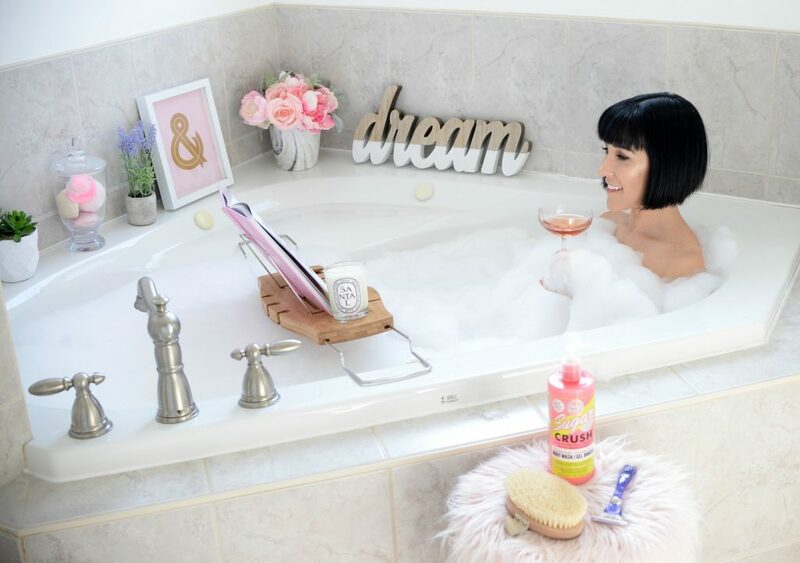 As a beauty blogger, I’m always looking for new products to leave both my skin and hair silky smooth, so it’s only natural that I look for options, outside of beauty products, to achieve these same goals. I recently started looking into the advantages of having a water softener installed in my home and quickly came across a ton of articles explaining the dramatic difference it can have on your overall appearance. If you’ve been a long-time reader of my blog, you know that I suffer from dry skin, especially in the cold winter months. Culligan Water is the world’s leader in water filtration systems, so I was excited to have them install a water softener in our home. If you’re anything like myself, the last thing you think about in your beauty routine is the water you use. Believe it or not, there are numerous reasons why having a water softener installed in your home is beneficial. So, what exactly is a water softener and how does it operate in your home? I had the same exact questions. With over 80 years of water quality experience, I knew I was in good hands with Culligan Water. When they came to install my system, they were able to help identify my water issues and provide me with the best possible system to fit my wants and needs. When I first looked at my new Culligan Water Filtration System, I was blown away by how complex and complicated it looked. In reality, it’s a pretty simple device and basically runs on its own. The system ensures every day is a good water day. Outside of filling up the tank every few months, it’s completely forgettable. The device basically replaces the calcium and magnesium ions found within the water with more soluble ions. The tank is filled with salt crystals,that need to be replaced and filled every few months, depending on how much water you’ve used. Having dry skin, I always thought I needed aggressive skincare products to help counteract the dryness. The truth of the matter is, hard water is hard on your skin. Soft water is gentler, allowing your body to get completely clean with only the smallest amount of product. If you don’t get a lovely lather when you’re in the shower with your current favourite body gel or soap, it may not actually be the product, but the water you are lathering up with. The minerals found within hard water do not mix well with soaps, therefore you end up using more, to help compensate for the hard water. More products on the skin can further irritate and aggravate the skin, leaving it feeling dry and itchy. I started noticing a difference on my skin immediately. On the very first day of my new Culligan Water Filtration System being installed, I saw a difference. The first thing I observed was that there was no soapy residue left behind on my skin after washing. 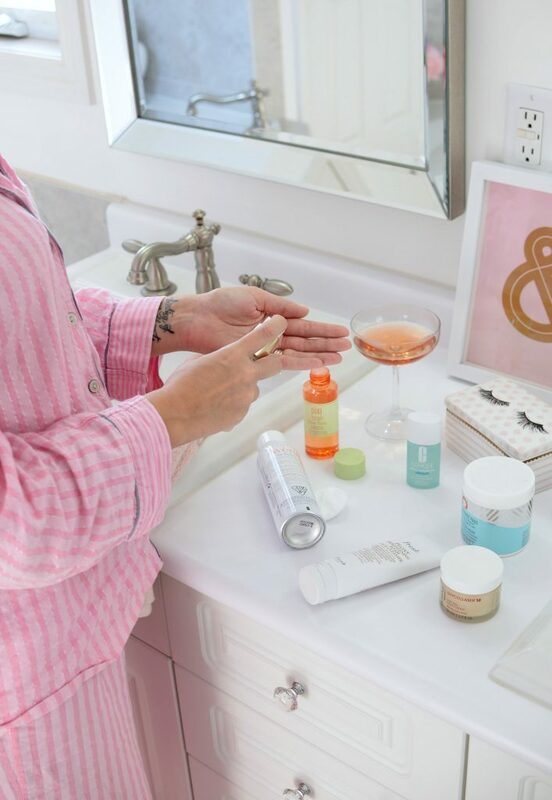 While this might not be a problem on the body, when it comes to the face, cleansers left on the skin can cause irritation, clog pores and contribute to dry, sensitive skin. Now anything I put on my skin, not only lathers better, but rinses off easier with no greasy residue left behind. My skin is left feeling silky smooth and soft. Not only am I using less products, saving me money, but my daily serums and moisturizers seem to penetrate deeper and quicker into the skin. I’ve always wondered why I had excellent hair days when I traveled. It turns out, most fancy hotels use soft water. Hard water causes your hair cuticles to stand up, leaving them feeling rough, dry and brittle. 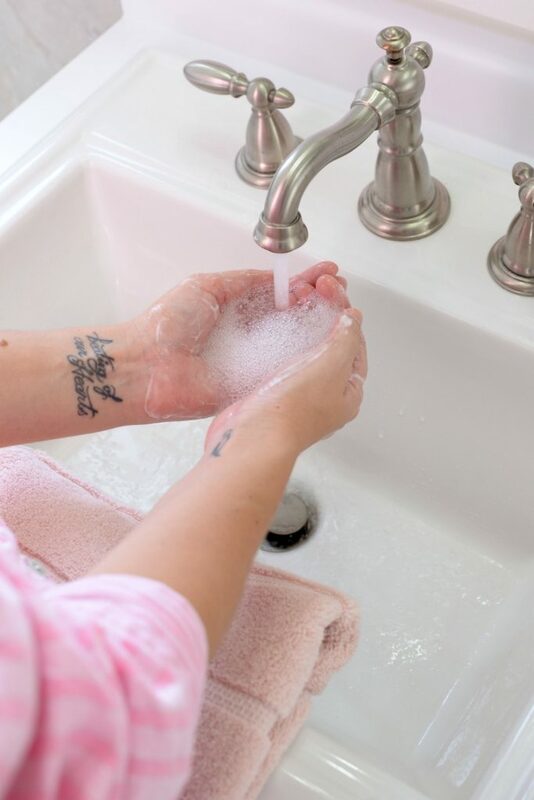 Soap has a hard time breaking down in hard water, which means you tend to use more shampoo and conditioner than necessary to achieve a decent lather. After only a few short days, with my new Culligan Water Filtration System, my hair became glossier, softer, shinier and more manageable. I found the softer water didn’t strip my hair of its natural oils, the same way the harder water did a few days prior. I noticed I required about a third of the products I was using to achieve the same amount of suds and lather (if not more) than I did in the past. The hard water tended to dry my hair out because the shampoo doesn’t mix well with the minerals, meaning I was never quite happy with the overall health of my scalp or strands. I’m now experiencing more bubbles when washing my hair with less product. More lather means my hair is now getting cleansed of all the daily dirt, oil, grime and product buildup, while being less damaging on the scalp. The shampoo also seems to be rinsing clean away, leaving my hair softer and bouncier. There were days in the past, that no matter how many times I rinsed my scalp, I never really felt like the product was gone. This, in return left my hair dry, greasy and limp. Now that I’m using soft water, even inexpensive hair care products feel lush and luxurious. My hair has never looked so healthy. This post was sponsored by Culligan Water as part of an Integrated Program for Influence Central and all opinions expressed in my post are my own.